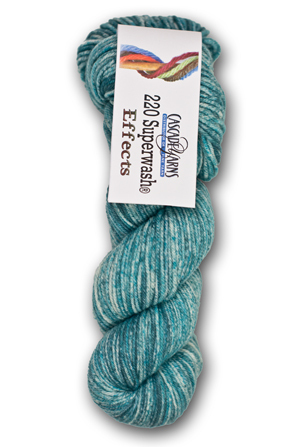 220 Superwash® Effects is in the same family as our most popular 220 Superwash® yarn. It's the same light worsted/DK, 100% Superwash Wool yarn with a subtle color changing variation that's sure to please. It is a natural fiber that is easy-care meaning you can machine wash and dry it! It’s great for all ages, and comes in a wide array of colors. From accessories and kids items to blankets and quick knits, this is the perfect yarn!